These gowns will make you feel like a beautiful bride, without all the fuss. Take a peek at these great choices for your second walk down the aisle or vow renewal! 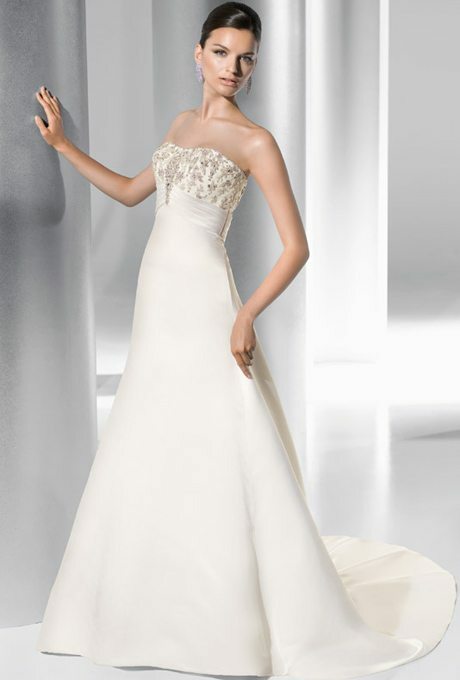 This easy satin ballgown will look great on a variety of brides in a variety of different settings. Modern lines and a clean silhouette, this gown is all class and elegance. Just enough beading to make you sparkle, we love how this gown skims a woman’s curves and shows off the bride. Another simple silhouette with just enough detail to personalize the look, this piece would be a definite try-on choice. Rouching is always in style and makes any body type and waist look that much better. If you’re looking for a ball gown without too much chaos, this may be the gown for you. A sleek a-line frame and a tad bit of beading on top, it’s a sophisticated and beautiful combination. The one-shoulder appeal will make you stand out and the satin makes you feel like the quintessential bride you’ve been dreaming of. Rouched and ready, this gown makes the perfect palette for styling and accessorizing. 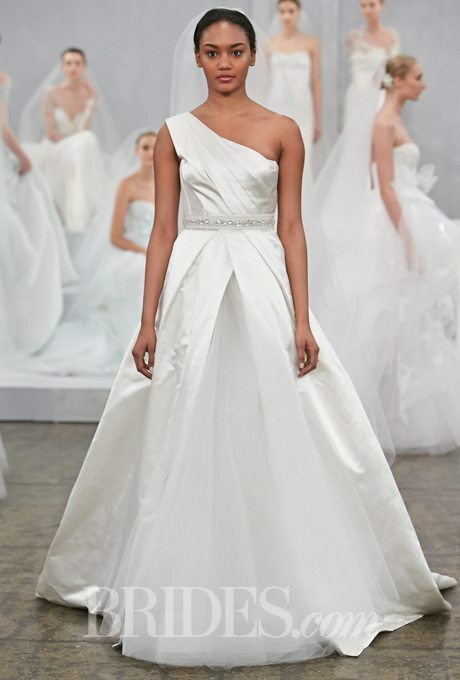 Chic shapes, sweetheart lines and shining satin, we love the simplicity and delicacy behind this design.